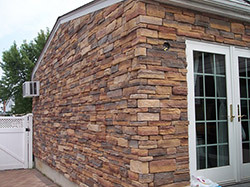 The addition of Cultured stone veneer or Natural stone veneer will transform an ordinary home into a magnificent showplace. There is no better way to increase a homes' value and curb appeal. Stone veneer adds an unmatched degree of elegance and sophistication to any home.